Sony has announced five new Cyber-shot cameras: the SLR-styled HX400, H400, and H300 as well as the WX350 and W800 point-and-shoots. The H400 ultra-zoom features a 20.1MP CCD sensor, a 63x optical zoom lens with IS, an electronic viewfinder, and 720p HD video recording capability. The HX400 sports a 20.4MP CMOS sensor, BIONZ X processor, a 50x optical zoom lens, 1080p Full HD video recording, and built-in Wi-Fi and NFC connectivity. 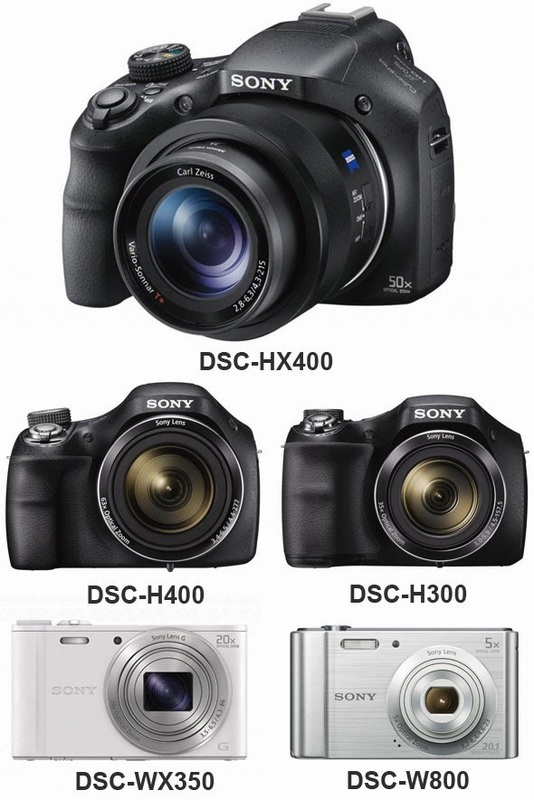 The budget-friendly H300 comes with a 35x zoom lens, a 20.1MP CCD sensor, and 720p video recording function. The HX400 and H400 will ship in March for about $500 and $320 respectively, while the H300 will be available in February for $220. The ultra-compact WX350 is equipped with a 20x optical zoom lens, a 18.2MP CMOS sensor and BIONZ X processor, Wi-Fi and NFC, and 1080p Full HD video recording at up to 60fps. The W800's features include a 5x zoom lens, a 20.1MP CCD sensor, and 720p video recording capabilities. The WX350 and W800 will be available in March for $320 and $80. SAN DIEGO, Feb. 11, 2014 – Sony Electronics – a leader in the consumer and professional digital imaging markets – has today introduced a variety of exciting Cyber-shot cameras that pack an extraordinary amount of imaging power and range into compact, travel-friendly packages. It also includes the new WX350 camera – the world’s smallest and lightest camera with a 20x optical zoom lens2 – and the competitively priced W800 model. New to the Cyber-shot camera line in 2014, Sony has utilized its powerful BIONZ® X processor – the same processor used in the award-winning Cyber-shot RX10 and the α7/7R full-frame mirrorless cameras – in the new HX400V and WX350 cameras. 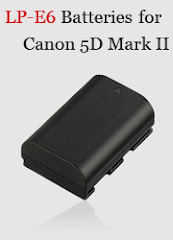 This powerful allows the new cameras to deliver richly detailed images and HD videos with exceptionally low noise. The new HX400V and WX350 cameras are also Wi-Fi® and NFC enabled for instant transfer and sharing with compatible smartphones, and feature improved optical image stabilization technology with new Intelligent Active mode for smooth, blur-free images and full HD videos at all focal ranges. Unique to the new HX400V high-zoom model, Sony has added full HD video shooting at a frame rate of 1080@24p for a more “cinema-like” feel to movies. The HX400V is also compatible with the popular platform of downloadable PlayMemories Camera Apps™, adding a range of exciting and creative capabilities. Currently there are a total of 10 different applications available, with several others to be released this spring. Learn more at www.sony.net/pmca .